The rationale for these cuts are to enable the Air Force to mobilze quickly as needed and provide air superiority in any engagement. The force is not cutting the F-35 or the expected procurement of Block 40 GlobalHawks. Additionally, the USAF will move to 115 Associate Units (up from the current 100), and transition ANG units to Unmanned Systems. 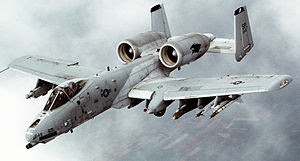 I don't have a commentary on this now, but refer to my last post for my thoughts on cutting the A-10 capabilities.